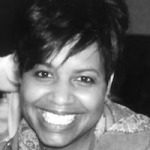 Carmela Monk Crawford is the editor of Message Magazine. Stop Violence Violence tore at the fabric of a friendship—where can they go for healing? My Sweet Addiction Is your sweet tooth killing you?